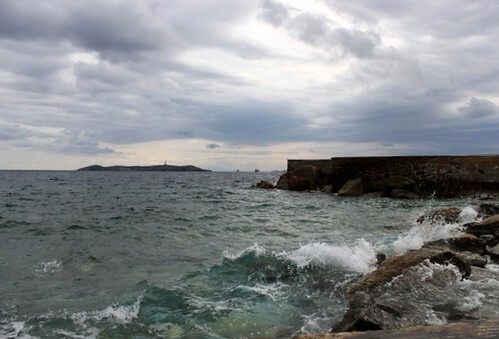 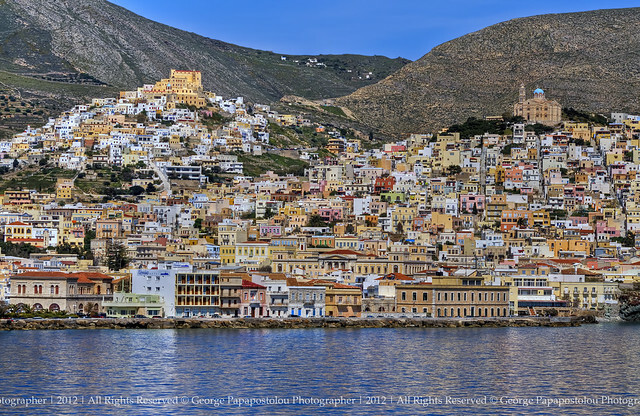 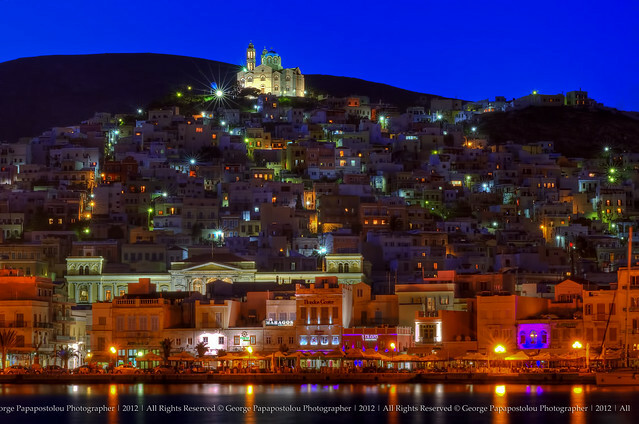 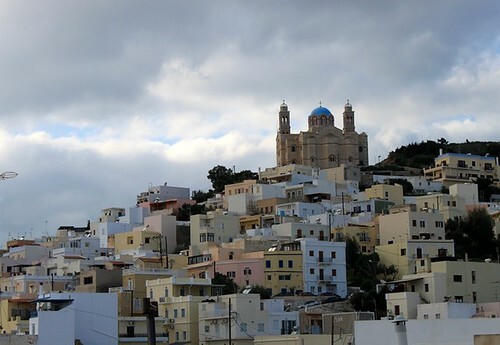 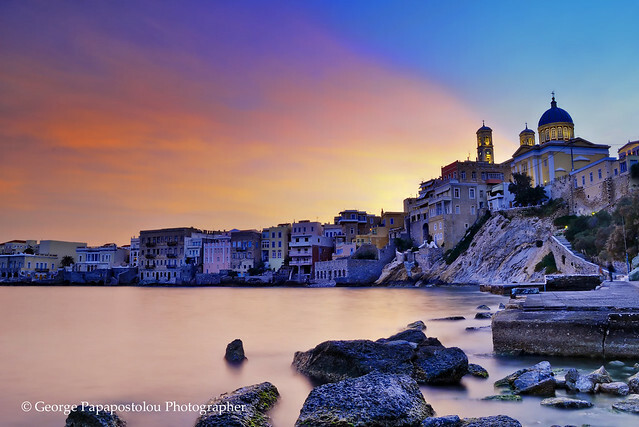 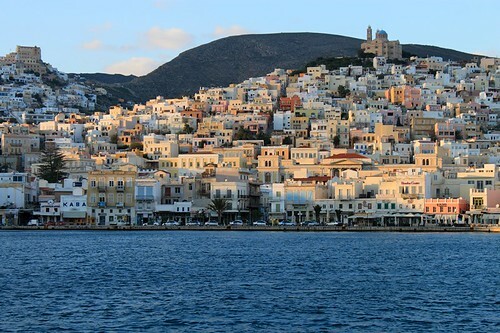 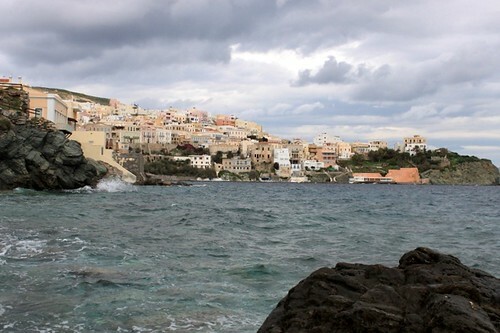 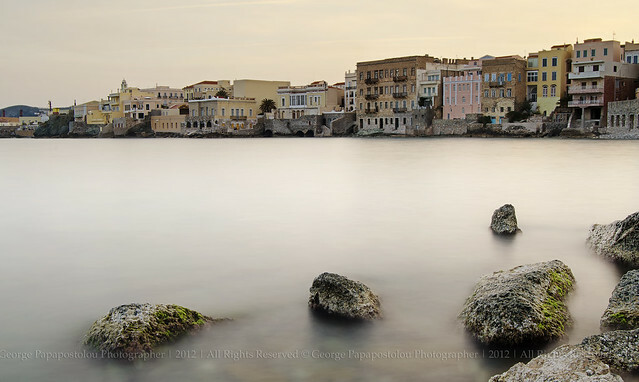 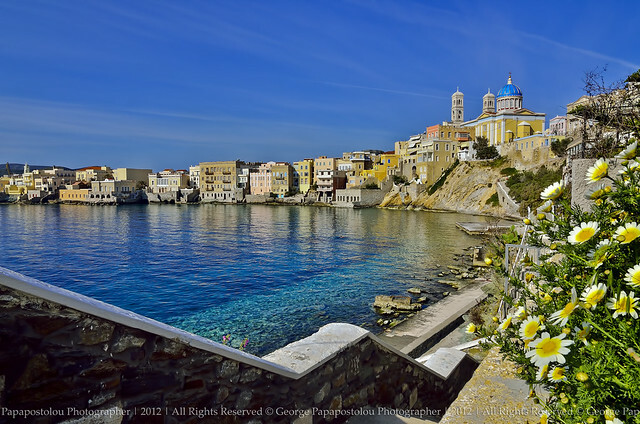 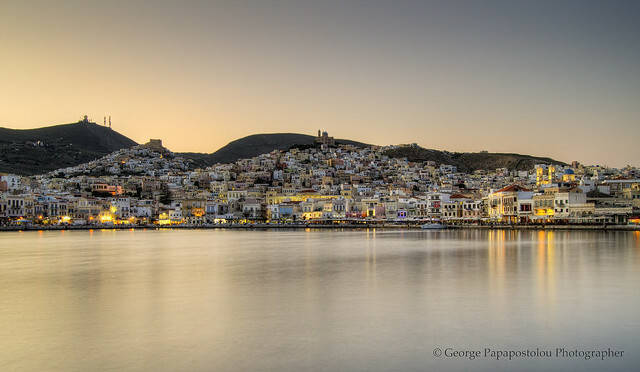 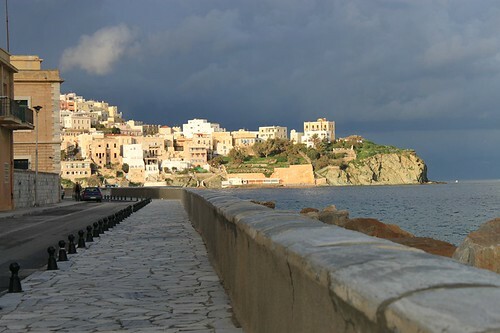 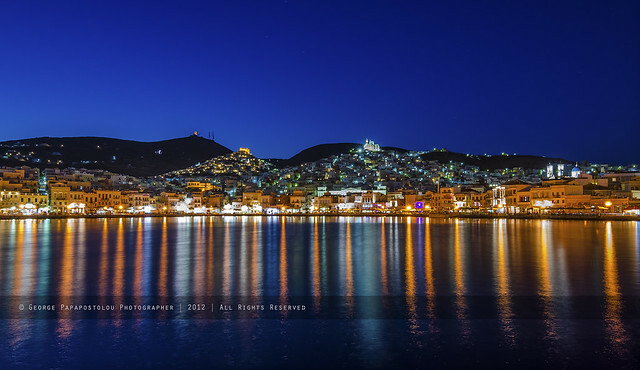 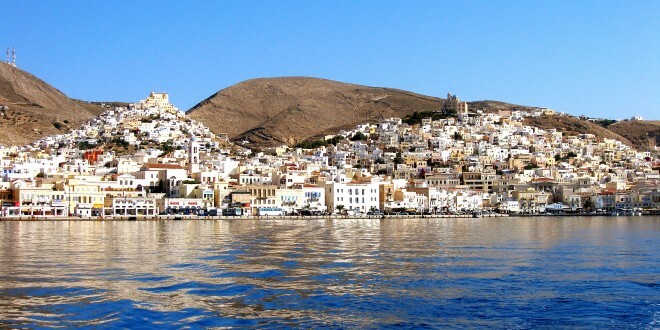 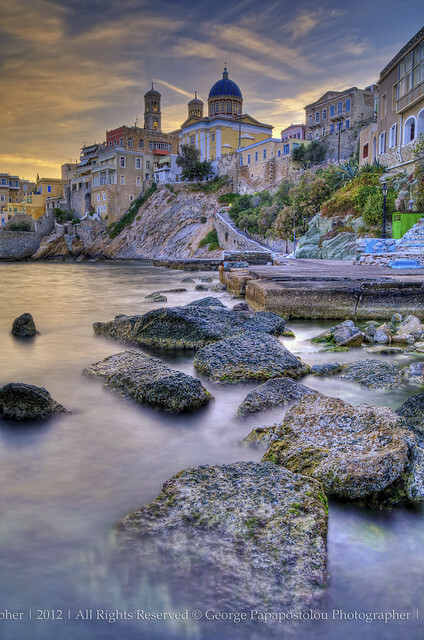 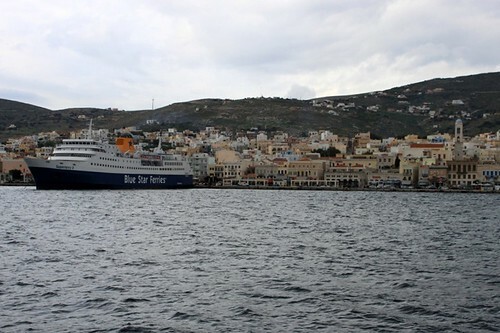 The port of Syros. 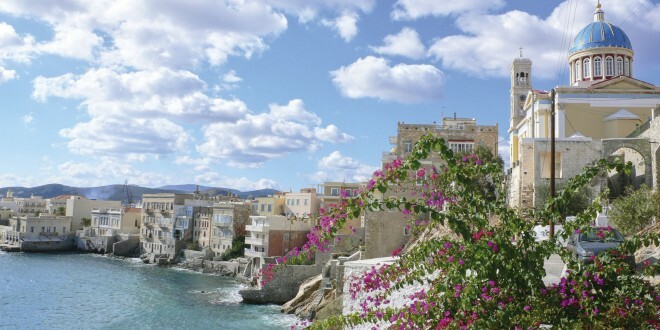 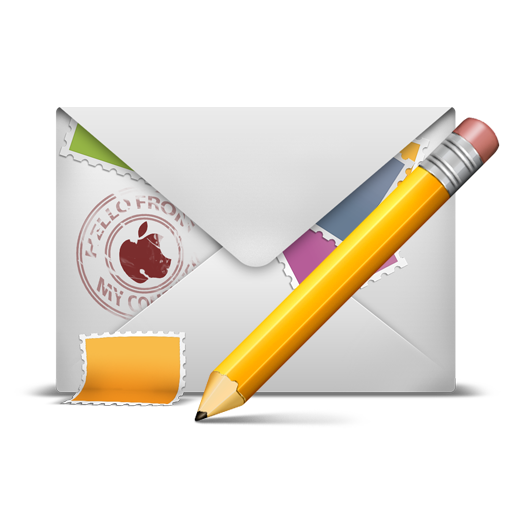 Daily departures from Piraeus and link to all the islands of the Cyclades, with daily or weekly local routes. 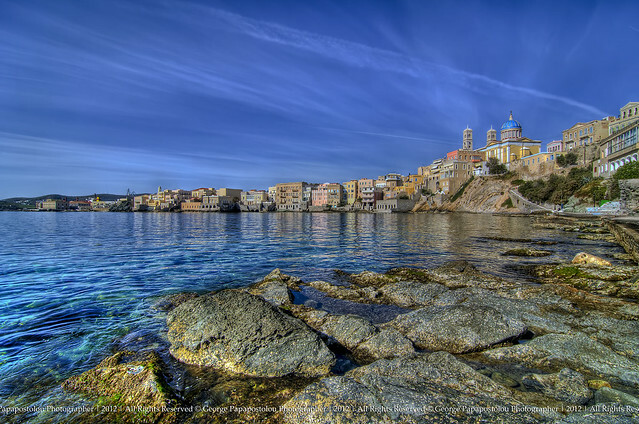 The imposing and magnificent church of St. Nicholas in Asteria. 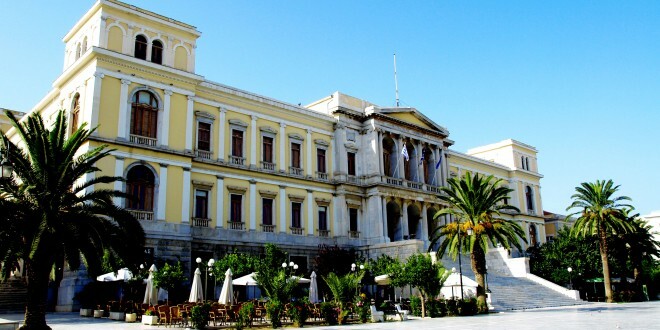 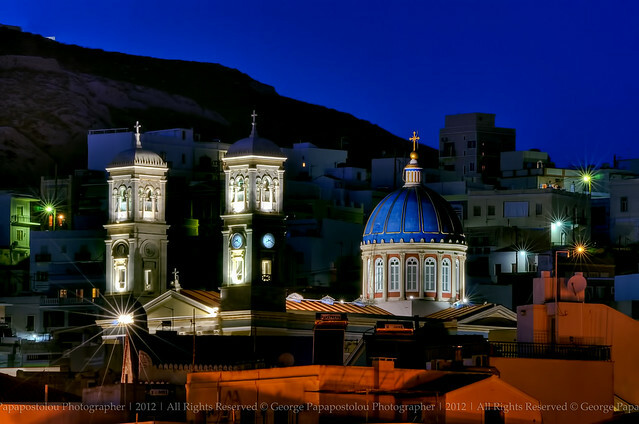 The grand city hall of Syros in Miaoulis Square, in the center of Syros. 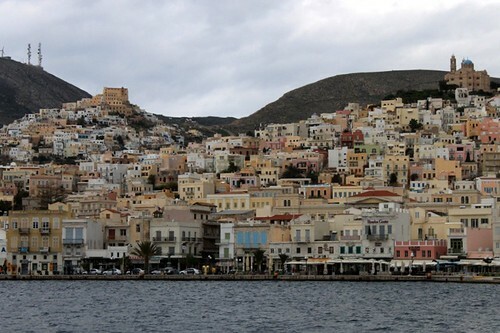 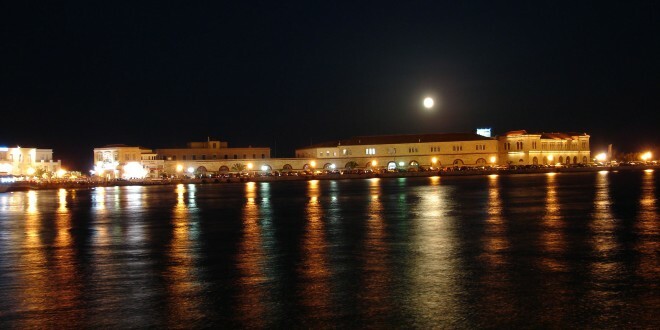 The impressive Syros Customs Office buildings and Warehouses by the port. 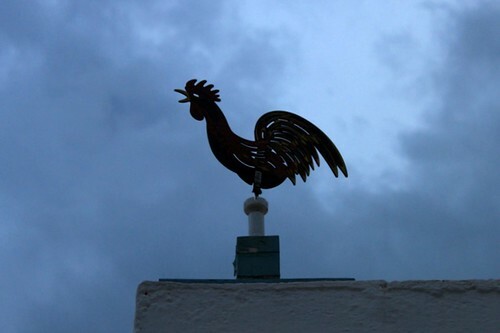 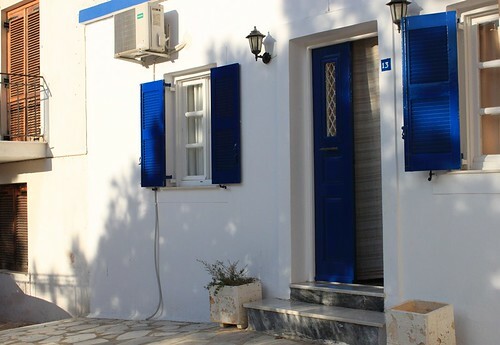 Except the customs office , they also house the "Cyclades Picture Gallery". 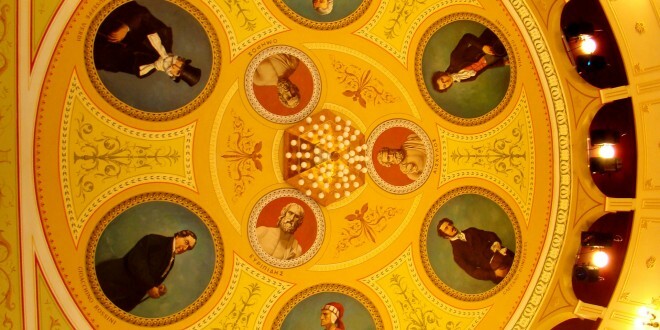 Mural at the Apollo Theatre. The famous theater operating normally throughout the year. 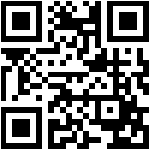 Enjoy one of the many performances. 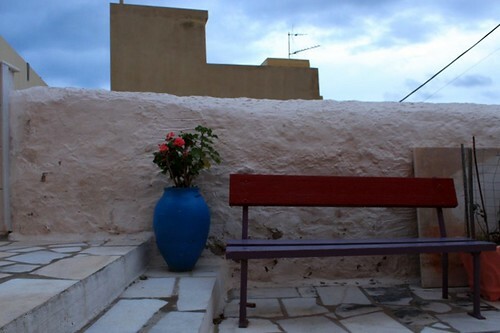 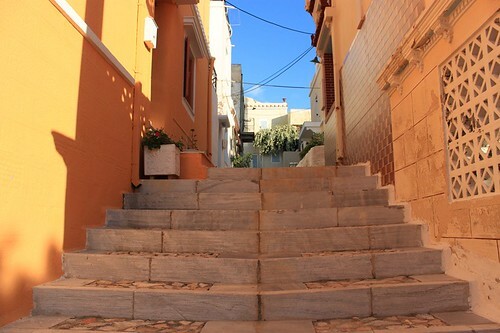 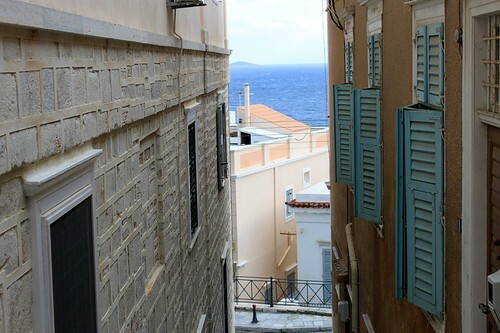 In a quiet alley-pedestrian street in the heart the historical center of Syros, close to the city center and about 200 meters from the port, waiting rooms for rent class A “Ermoypoli”. 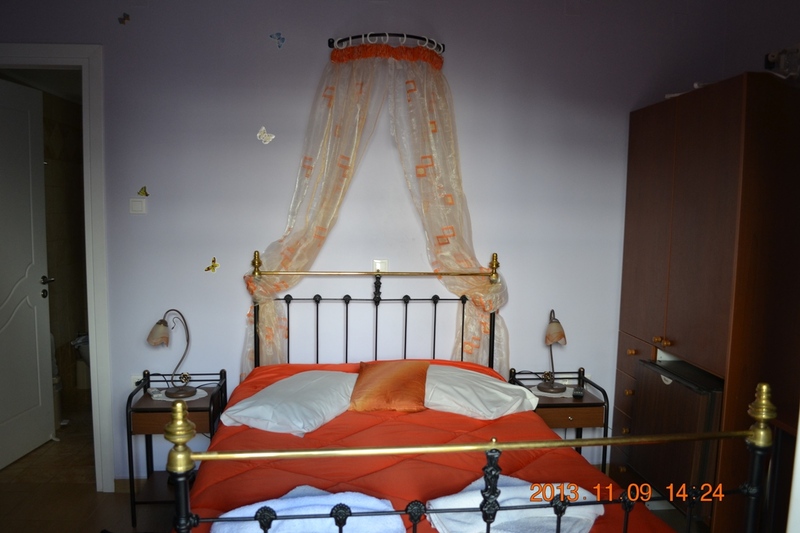 Large comfortable rooms for 2-4 persons with all comfort. 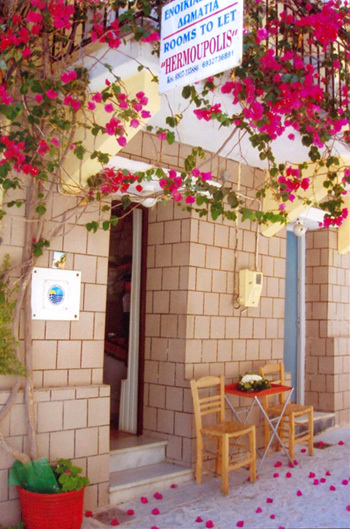 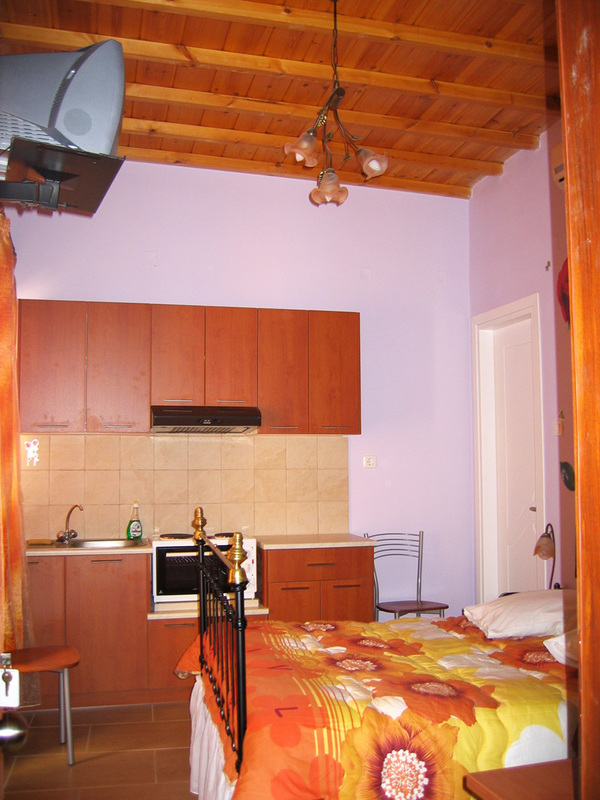 All rooms have private bath, balcony, air condition, kitchen, refrigerator and TV.